The Biotechnology Sector Has Been Range-bound this year. Conditions for a move higher were optimal, till Brexit happened. The generally positive stock market backdrop can help the sector climb higher, but there is more work to be done. The Biotechnology or Biotech sector continues to struggle with its personal bear market, after declining 40% from its peak in July 2015. While the broader market has strengthened and risen appreciably from its lows, the biotechnology sector, as represented by IBB, an ETF tracking the Nasdaq Biotechnology Index, is still down 24% for the year. While the broader indexes have enjoyed some resurgence, even piercing through their 200 Day Moving Average ((DMA)), a key technical and momentum level, the IBB has not been able to even come close to the 200 DMA level this year, and was 11% below it at the end of June. A big issue holding back the sector has been the political rhetoric of an election year around managing drug prices. While the political issue of rising health care costs and aggressive pricing practices will remain prominent throughout the year, as Presidential candidates posture and Congress conducts more hearings, last month we had believed that the other concerns were dissipating, as we had outlined in various articles here, and on our blog. That was before the Brexit fever gripped the market during June. The Biotech sector along with the broader market, represented by Nasdaq (QQQ), S&P500 (SPY) and DJIA (DIA), pulled-back on concerns of a British Exit. The key difference between the biotech and the broader market pullback was that the IBB returned back exactly to its yearly low of 240, a level touched in February 2016, while all the key indexes representing the broader market stabilized much higher than their yearly lows. Interestingly, the IBB index bounced back with the broader market and by the close of day on July 1, had returned to its pre-Brexit level. We believe that conditions which existed prior to Brexit, and made us look forward towards a stronger performance from the Biotech sector, continue to exist and should benefit the biotechs going forward. However, the sector has work to do and this can take time. What Brexit accomplished from a Biotech stock outlook standpoint was two important milestones. 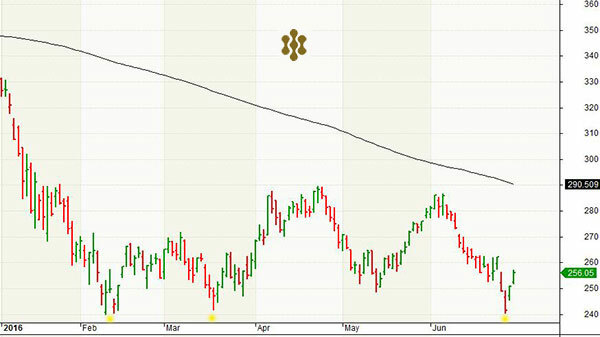 First, it prompted a sharp retest of the Biotechnology sector lows going back to earlier this year. This was an important retest, which one would have preferred to avoid, for a sector that is mired in its own bear market. And the retest of the support held. Second, what Brexit accomplished was to diminish the probability of any near-term interest rate increases, particularly the one expected in July. Brexit has effectively pushed down the interest rate curve and made the pace of future interest rate increases even more mild. In addition, Brexit sweepingly made central banks of all major economies more dovish or in a more stimulating frame of mind rather than a tightening one. 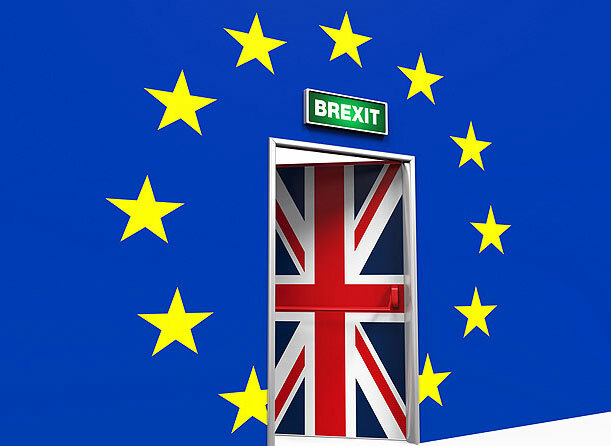 The Brexit implications for stocks were discussed last week in the Graycell Advisors article here on Seeking Alpha. The push-back of further rate increases is favorable news for stocks. Stocks respond to a predictable and dovish interest rate environment, as well as economic growth. Well, the economic backdrop improved a little bit over the past two months. The final first quarter GDP revision showed growth of 1.1%, above the 0.8% recorded earlier. In addition, consumer spending has been registering stronger growth not seen in years, and consumer confidence for June reached an 8-month high. At the same time, risk-taking in the speculative segment of the market, as demonstrated by the smallcap index Russell 2000 (IWM), remains strong. The smallcap index has risen strongly from its February lows. Considering this generally positive backdrop to the stock market, Biotech sector performance so far this year has not been inspiring. True, there have been event-driven typical biotech surges in stocks like Celator Pharmaceuticals (CPXX), Tesaros (TSRO), Xencor (XNCR), and similarly on the downside, like with Regulus Therapeutics (RGLS) and Galena Biopharma (GALE). But for the most part, the sector continues to consolidate within a 20% range. The depth of the sector's feeble performance this year can be gauged by the fact that of the Top 10 constituents of the IBB by weight, representing 58% of the index, not a single one trades above the 200 DMA as of the end of June. The sector obviously is facing concerns which are unique to it - the political football of managing healthcare costs. The elevated concerns from the establishment - the Congress and the presidential candidates - regarding spiraling drug costs is exerting an overbearing influence on the sector. To prognosticate on the control of Congress in the November elections is a double-edged sword that can't be the basis for an investment. If nothing else, Brexit demonstrated the dangers of relying on such polling projections. The market will most likely favor a split control of House and Senate, to prevent any price-control legislation from being enacted. If political climate is a key issue for the sector's underperformance, then there will be investing clarity on this issue only post-elections in November. The only bright side of this ongoing period of consolidation, following heady gains of past years, is that it sets up a base for a more powerful breakout, whenever it occurs. The other key indicators of interest in the sector are the merger and acquisition (M&A), as well as partnership activity. The activity level rose during May and June, with the ongoing and prolonged Medivation bidding as Sanofi (SNY) took its bid hostile and potentially other cash-rich buyers in the wings like Pfizer (PFE), Gilead and Celgene; Celator Pharmaceuticals acquisition by Jazz Pharmaceuticals (JAZZ); Xenoport (XNPT) being acquired by privately held Arbor Pharmaceuticals, Stemcentrx by AbbVie (ABBV), and Merck (MRK) paying over $200 million upfront to privately-held Moderna Therapeutics for products developed around its RNA vaccine technology. Recently, Acadia Pharmaceuticals (ACAD) has been rumored as a potential target. With greater pressure on larger companies to seek revenue and earnings growth, the cash-rich behemoths will be hunting for targets. A further rise in M&A activity can perhaps spark a rally that breaks-out of consolidation phase or the 290 level on IBB. While the market backdrop is generally positive for stocks, the biotechnology sector is encountering trouble making progress. Perhaps a continuation of the broader market rally, since the bottom in February, can raise the Biotech sector beyond its range-bound performance. We believe a partial exposure to the sector can be a good way to build-on if there is any future breakout. In our quantitative Prudent Biotech Portfolio, we are down -1% for the year compared to IBB performance of down -24%. At this time, the systematic portfolio is less than fully invested in the sector; a position that can change for next month as the sector improves its performance. The opportunities are there with a number of potentially promising companies, like Seattle Genetics (SGEN), Ligand Pharmaceuticals (LGND), Grifols (GRFS), GW Pharmaceutical (GWPH), Novavax (NVAX), Exelixis (EXEL), and Tesaro, to name a few. 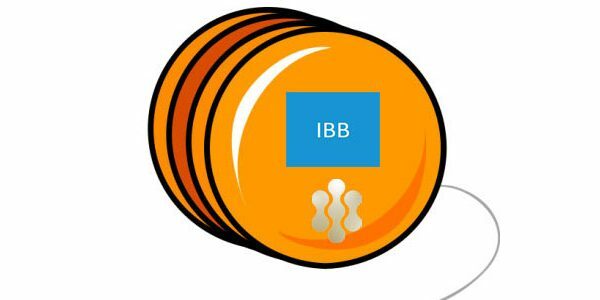 A further exposure at the appropriate time can also be quickly acquired through ETFs, iShares Biotech ((IBB)) and S&P Biotech SPDR (XBI).